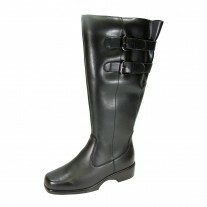 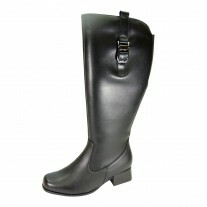 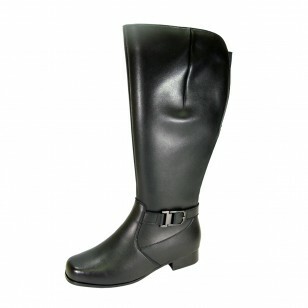 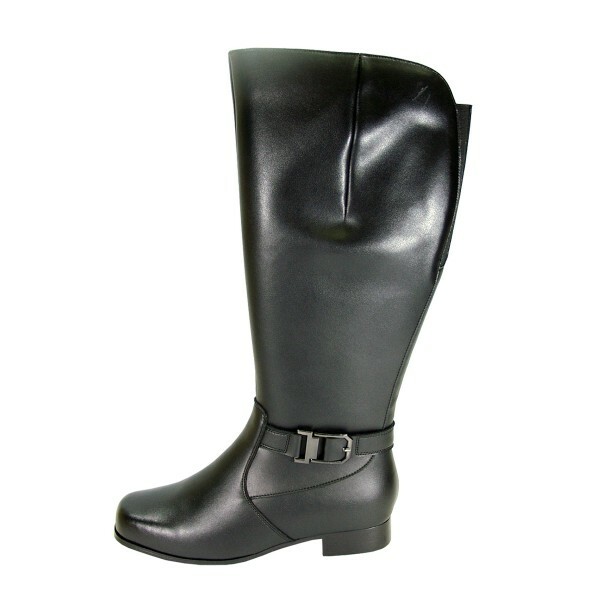 PEERAGE Gillian women's extra wide width knee-high water-resistant Nappa leather boots has a 17 inch shaft height, 17 inch elastic wide calf, and a sleek buckle detail. 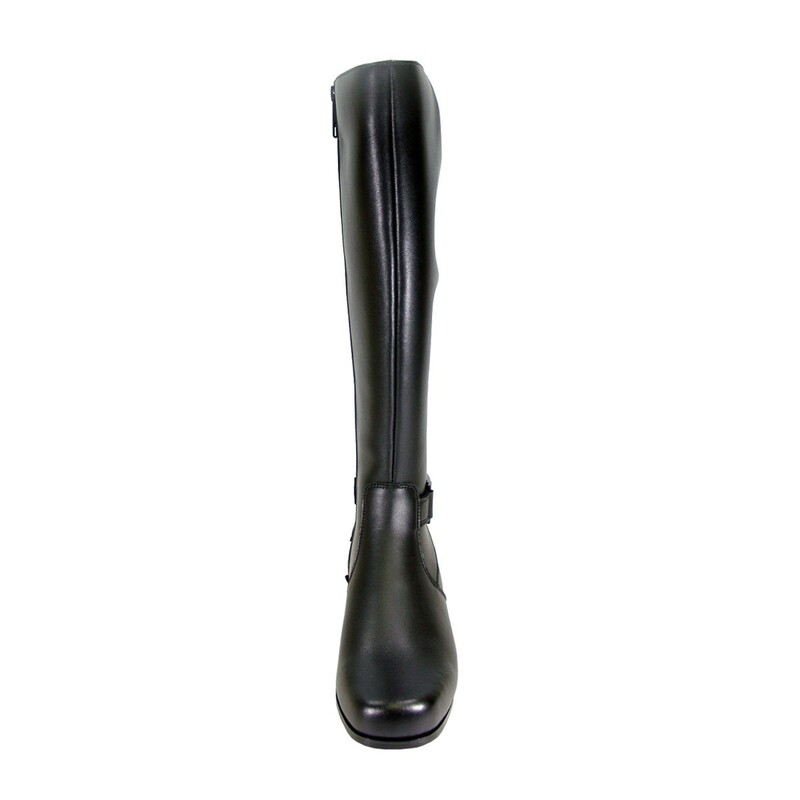 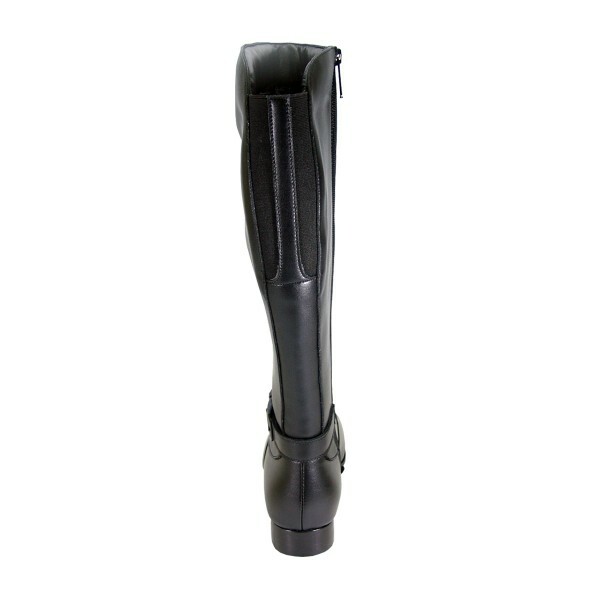 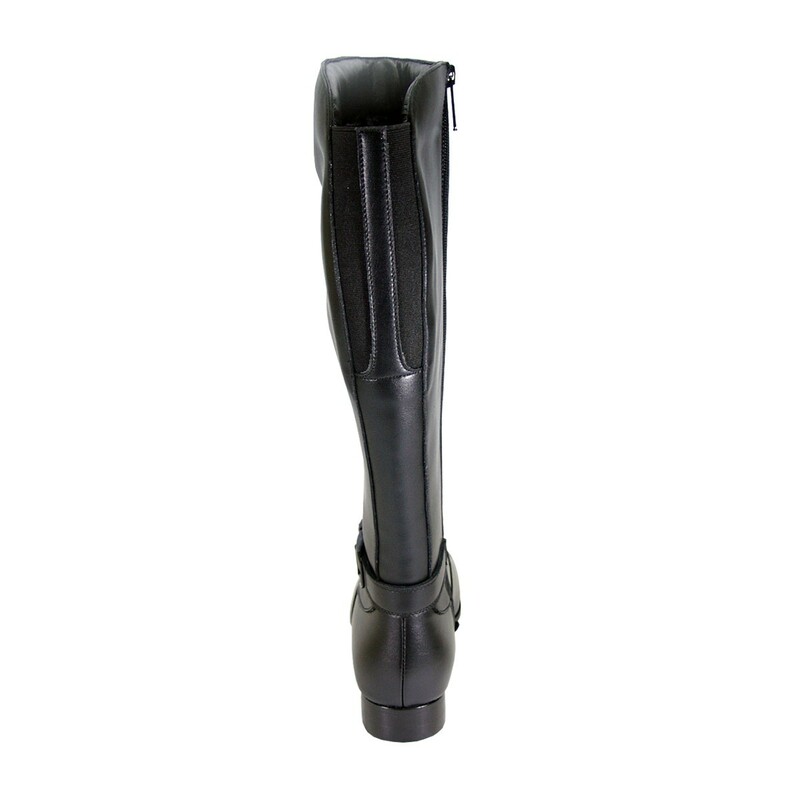 This ladies 1" block heel riding boot features an interior fleece lining and elastic gore with a zipper closure, making them warm and functional, yet simply stylish. 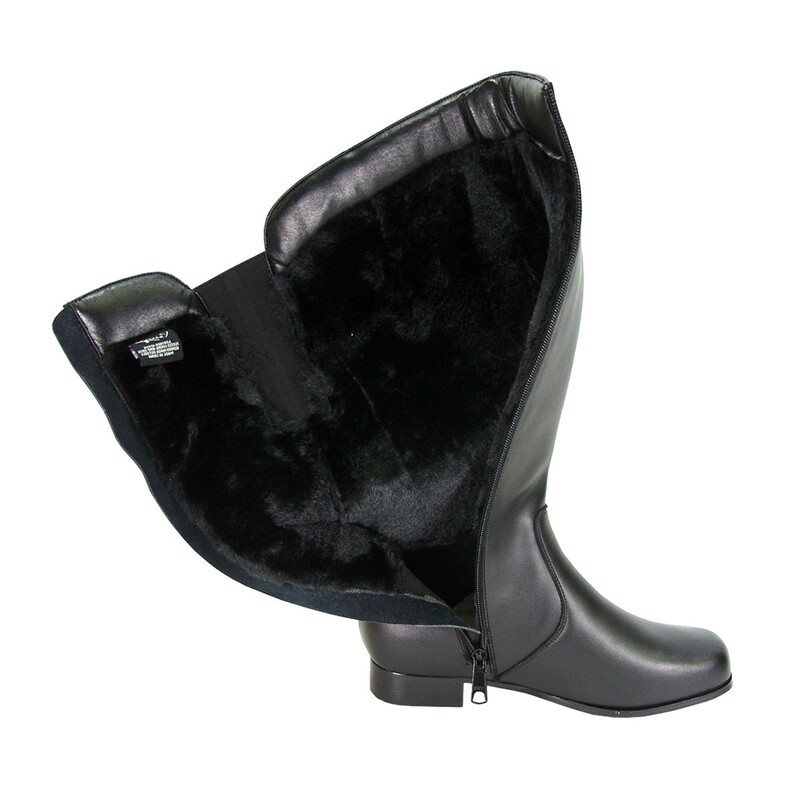 These boots have a maximum traction rubber outsole, helping you stand strong against rain, snow, or ice. 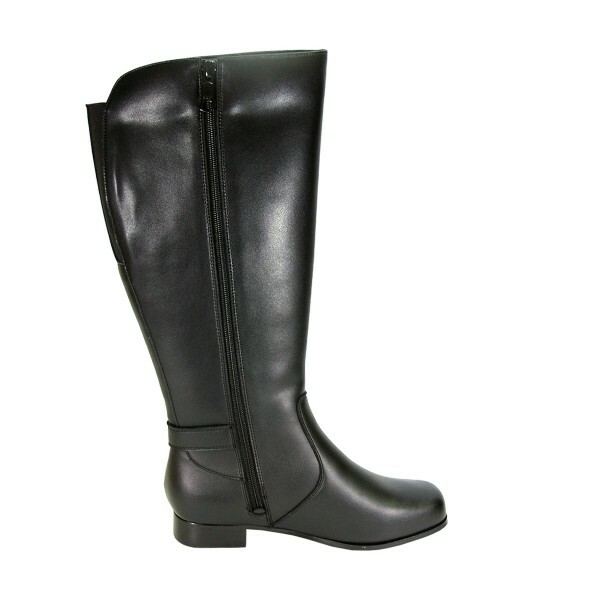 PEERAGE Gillian's features make these boots a perfect choice from fall to winter, allowing you to get the most out of your seasonal footwear.